A number of transformations or sequence of transformations can be combined into single one called as composition. The resulting matrix is called as composite matrix. The process of combining is called as concatenation. The ordering sequence of these numbers of transformations must not be changed. 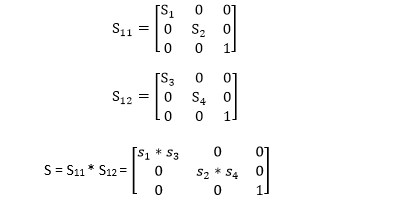 If a matrix is represented in column form, then the composite transformation is performed by multiplying matrix in order from right to left side. The output obtained from the previous matrix is multiplied with the new coming matrix. Step4: Again translation is done. This second translation is called a reverse translation. It will position the object at the origin location. Note: Two types of rotations are used for representing matrices one is column method. Another is the row method. The number of operations will be reduced. Rules used for defining transformation in form of equations are complex as compared to matrix. 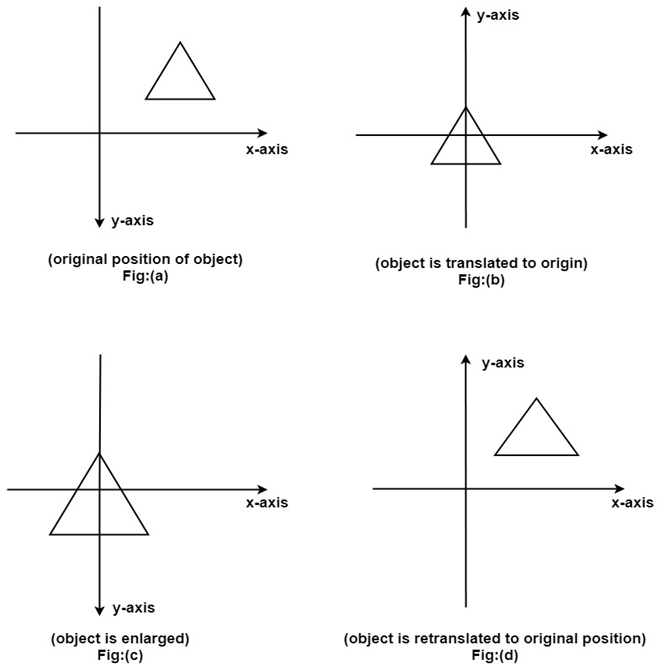 Let t1 t2 t3 t4are translation vectors. They are two translations P1 and P2. The matrix of P1 and P2 given below. The P1 and P2are represented using Homogeneous matrices and P will be the final transformation matrix obtained after multiplication. Above resultant matrix show that two successive translations are additive. Composition of two Scaling: The composition of two scaling is multiplicative. Let S11 and S12are matrix to be multiplied.